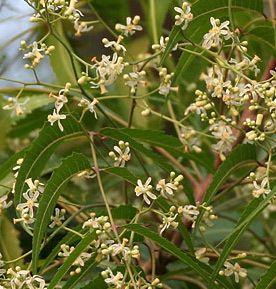 Neem Powder (Azadirachta Indica) Making Process: For making the leaf powder of Neem the healthy fresh leaves are collected from organic or wild trees. It should be noted that the leaves should be free from any contamination by environmental toxins. Then they are washed properly (to remove the physical immpurities if any) with pure water and dried in a dust free environment. Then it is grinded to make the fine powder. This powder is ideal for face masks preparations and adds significant nutritional properties to our facial.